Can I get into NIT after scoring 92.8% in GATE? Can I do M.Tech from any NIT after scoring 92 percentile in GATE M.Tech? Will I get admission in any NIT for M.Tech course after scoring 5824 in GATE? Can I get into any NIT after scoring 41.6 marks in GATE with 448 GATE score? Is there any chance to get admission in NIT after scoring 42 marks in GATE? Am I eligible for NIT after scoring 30.67 marks in GATE? Can I get NIT Kurukshetra after scoring 94.4 in GATE with 410 score? Will I get a seat in IIT Roorkee or NIT Surathkal or any other NIT, IIT after scoring 32.33 out of 100 in GATE? How to get admission in any NIT after scoring 39 in GATE Mechanical Engineering? Is there any chance of getting admission into IIT or NIT after scoring 271 in GATE? Which NIT should I opt for after scoring 384 in GATE? Can I get admission in government college or NIT college after scoring 18.24% in GATE ECE branch? Is there any management quota seat in NIT? Can I get admission in NIT after scoring 343 in GATE? Which NIT will I get after scoring 1479 in GATE? Re: Can I get into NIT after scoring 92.8% in GATE? Sir, my percentile in GATE-2011 is 81.44 in CH Paper I am in OBC can I get admission in NIT'S? hii, you have a very good score please apply in all NITs, also try in BITS pilani , ANNA university, you will get with good placements and stipends , best of luck. hii, you have scored very good percentile surelt you will get in NITs apply in all NITs and also in the BITS pilani, you might get , all the best. yaa, why not? you must try Ammity university or try to nit in Patna in Remote scencing.It is totally a new branch and it offers a bright job to you. so am I eligible for NIT ??? My Percentile in gate2012 is 96.7 in CS.... score is 479....which nit can i get?? can i get BITS Pilani?? I have a GATE score of 428 in civil engineering. Can I get admission to any IIT or NIT? u can get admission in any NIT ..
but for BITS there is no need of GATE score...there is test conducted by BITS for admission... u have to qualify it. 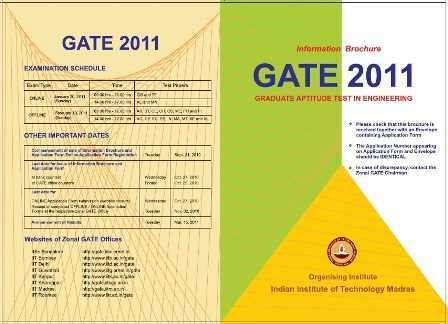 i have 96 percentile in gate 2012.can i get into an iit/nit/bits pilani?what will be the best option for me? sir, i got 96% in gate 2012(ECE) and OBC. can i get a m.tech seat in NIT's. sir i have 94.74 gate percentile 2012 in ece ..an under general category..cai i get admission in nits? my percentile is 94.3.. general category... can i get in good nits? Can I get into NIT after scoring 91.06 percentile ? Im from OBC category? Can I get into NIT after scoring 93.83 percentile from ECE discipline? i'm having 92 percentile with 384 score. can i get good nits??? Sir my gate score is 95.65% in CS gate 2013(AIR-9742). Please do let me know if i can NITs at this score? There are large number of candidates appearing for GATE in your branch. So cut of remains very high. Also being a general category candidate its very very difficult for you to get admission in any NIT. Categorywise , candidates qualified of the general category are about 52.8% of the total qualified students. It means more than half of the qualified students are of the General Category . so my friend It's difficult for you to get admission for NIT.